Geissele Automatics High Speed Selector (HSS): Drop-In, Spring-Loaded 45-Degree Instant On/Off Ambi (Ambidextrous) Full-Auto M4 Carbine/M16 Rifle Selector Switch and Super Select-Fire (SSF) Full-Auto Trigger Kit for More Hits on Fast-Moving Targets! (Video!) | DefenseReview.com (DR): An online tactical technology and military defense technology magazine with particular focus on the latest and greatest tactical firearms news (tactical gun news), tactical gear news and tactical shooting news. Sometimes, it’s the little things that can make all the difference. This is the first new product DefenseReview (DR) is reporting on from SOFIC (Special Operations Forces Industry Conference) 2017 in Tampa, and for good reason: because it’s potentially very important. 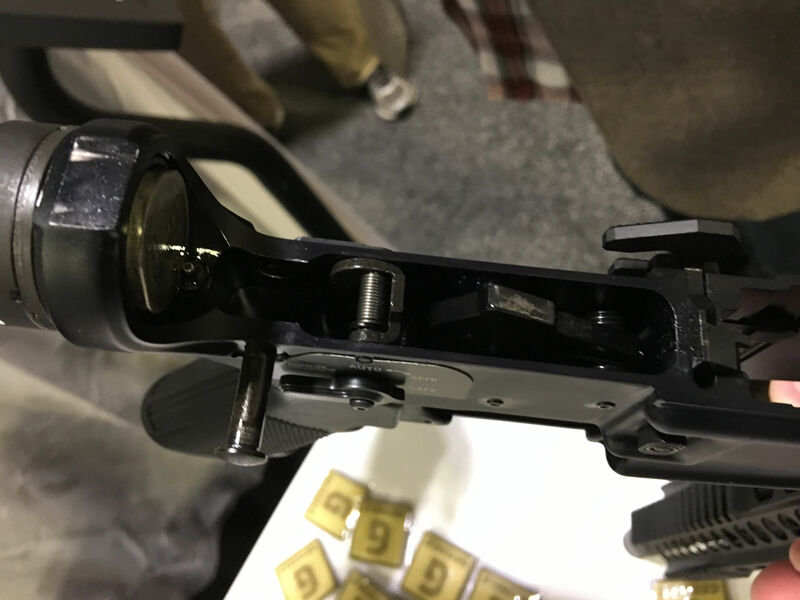 It’s called the High-Speed Selector (HSS), and it’s brought to us by the good folks at Geissele Automatics, makers of great AR match triggers, rails, etc. 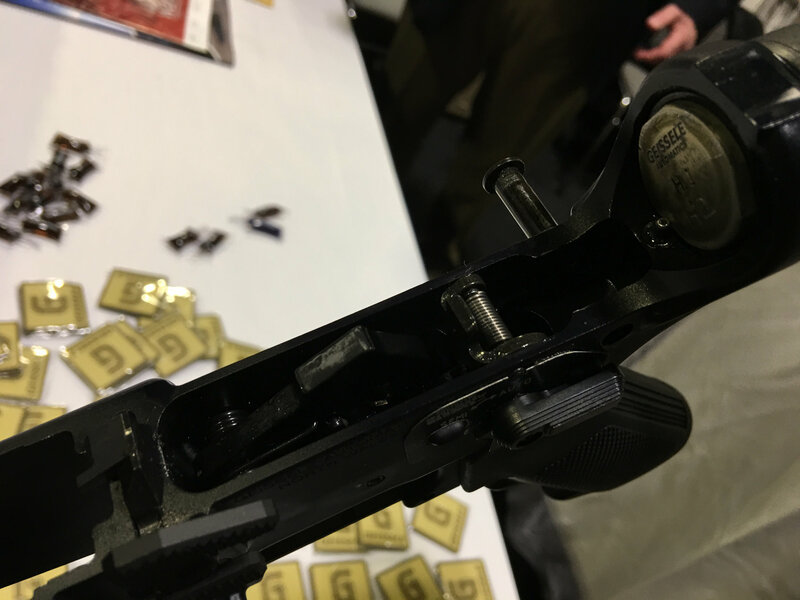 The Geissele High-Speed Selector is essentially a drop-in, spring-loaded 45-degree short-throw instant on/off full-auto selector switch and Geissele SSF (Super Select-Fire) Trigger full-auto trigger kit that allows the shooter to instantly switch back and forth from semi-auto to full-auto fire mode as needed during dynamic combat engagements against fast-moving targets. It’s pretty awesome. So, how did it come about? 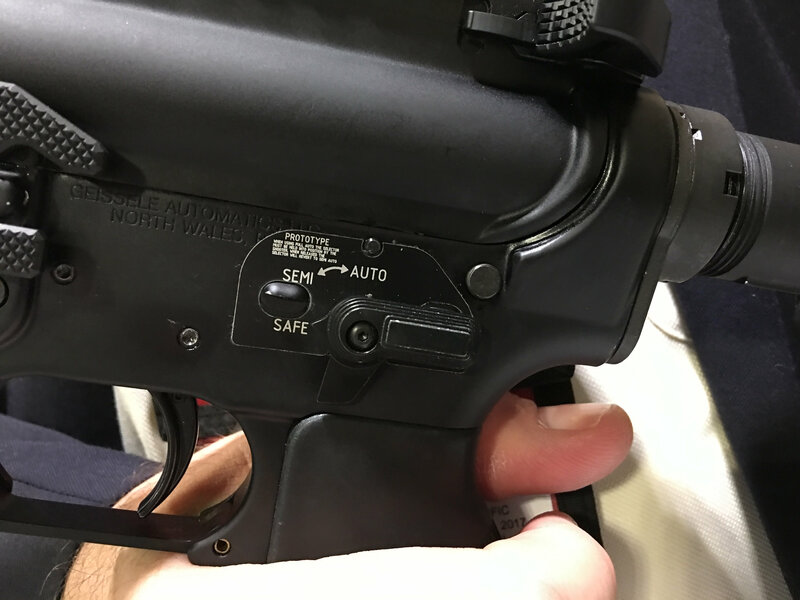 Well, about a year ago, the United States Marine Corps (USMC) gunner community approached Bill Geissele about a selector switch issue they were having on their guns (M4 Carbines). 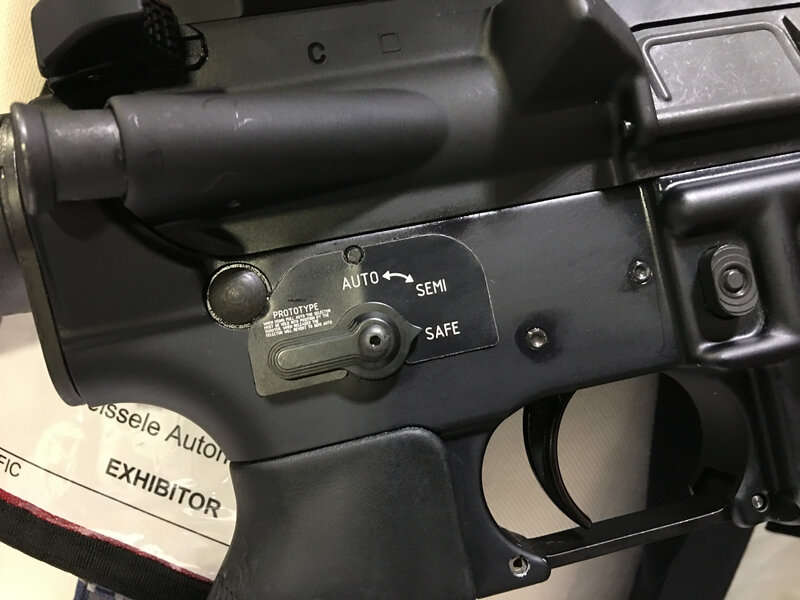 Basically, they’ve been getting a 40% hit rate in the semi-auto-fire mode on moving targets exposed for 2.2 seconds while moving at 10 mph at a distance of 50-150 yards, and it was taking too long to flip the happy switch over to full-auto, where they can get 60% hits, which is a whopping 50% improvement. 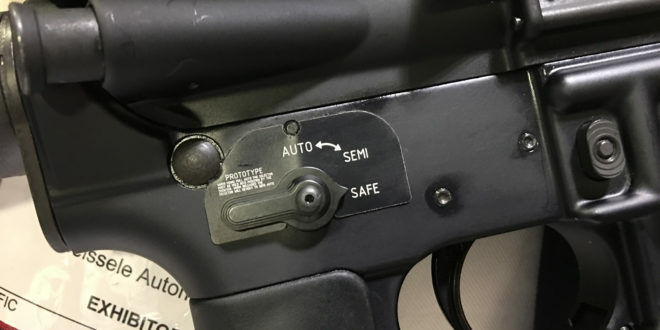 So, Geissele developed a spring-loaded 45-degree-throw selector switch (between the semi-auto and full-auto positions) that the shooter can instantly push into full-auto with their thumb, and then right back into semi-auto by releasing the pressure. It comes RIGHT back to sem-auto. It’s super ergonomic. You have to try it to fully appreciate it, but in the meantime, DR’s video below will have to do. “Everybody who shoots this just feels that it is probably one of the most important upgrades to the M4 Carbine that they’ve ever seen. It’s like putting a nitro-methane button, ya’ know, on your car. It’s like a funny car running on nitro-methane. It’s unbelievable when you shoot it,” says Geissele. It’s pretty ingenius. Simple, but ingenius. 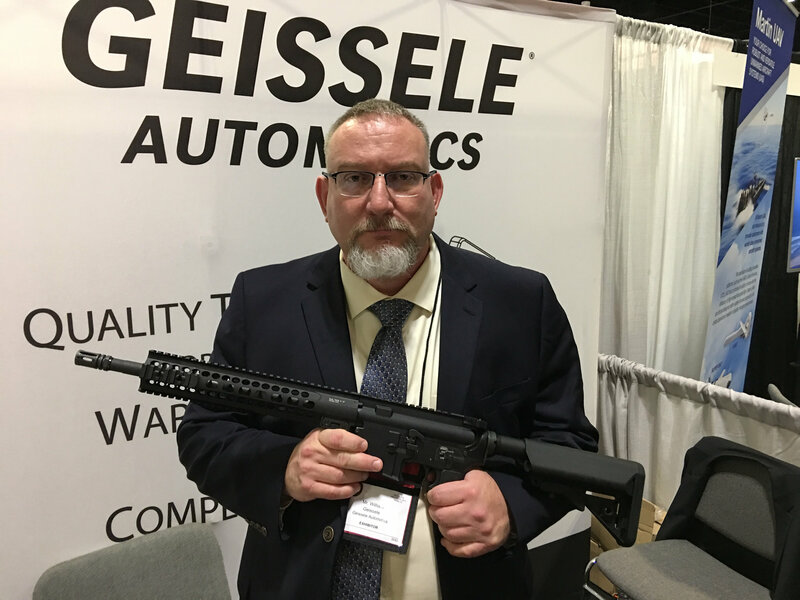 Mr. Geissele told Defense Review that Geissele Automatics is “looking forward to supplying the US Military with this [Geissele High Speed Selector] to the US Military for the benefit of our Marines and soldiers.” Quite frankly, so are we (DR). It’s pretty terrific, and possibly the most important single M4/M4A1 Carbine/M16A3/A4 rifle component to come along in well…ever. 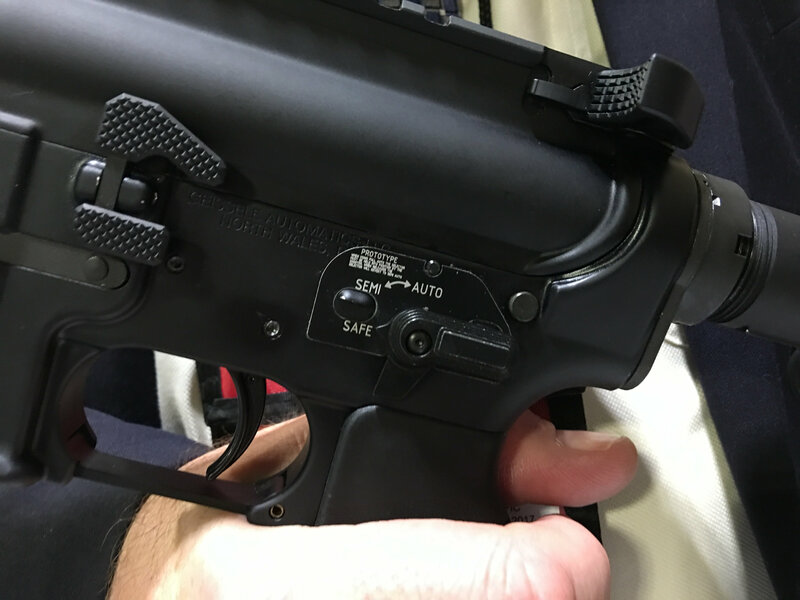 It’s THAT important, a real potential military combat game-changer, although we’d very much like to see it combined with the FERFRANS DSAS/RRS BCG (Delayed Sear Activation System/Rate Reduction System Bolt Carrier Group) , which brings the M4/M4A1’s cyclic rate of fire (ROF) down under the 700-RPM threshold for much more controllable full-auto fire, and more hits on target. That would be a pretty unbeatable combat AR combo, particularly for dynamic gunfighting in urban and jungle combat environments. After all, if ya’ gotta’ go full-auto, you might as well make it controllable, usable full-auto. HIPERFIRE HIPERTOUCH ECLipse (ECL) Trigger System/Fire Control Group (FCG) for 3-Gun Competition and Combat: Even Better than the HIPERTOUCH 24C (24Competition) Trigger for Tactical AR-15 and AR-10/SR-25 Rifle/Carbine/SBR’s! Previous: Angel Armor Truth SNAP Concealable Magnetic Hard Armor Plates and RISE Plate Carrier System!